he ReUse Market is a place for artists and creators of all types can come and find inspiration for their new project at an affordable price. 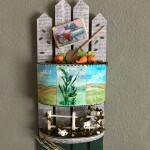 Pam McKnight of “Every Little Thing” embraces this mission by incorporating reuse in her unique work! 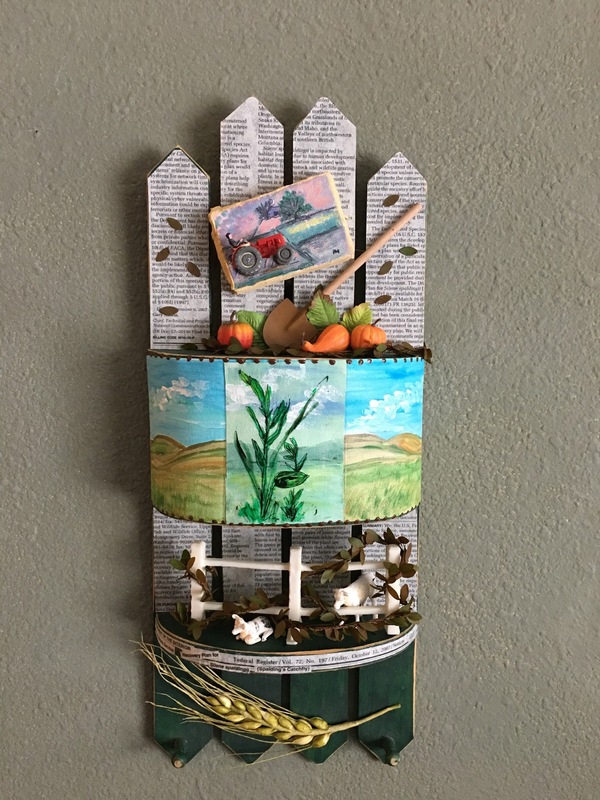 Learn about Pam’s work and how she gets inspired by found objects and creative reuse! What from the market inspires you? 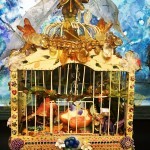 The inspiration I find from the market is the hunt of the perfect object and or materials for my next project. I mainly use only repurposed items in my art. 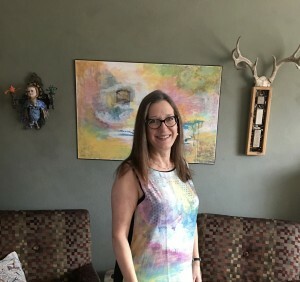 I have been aware of the reuse market from the beginning, I became friends with Gina Lauer and even tried to help her find a location in the early days. What is your favorite media do you use in your work? Everything! 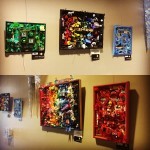 I loved mixed media. 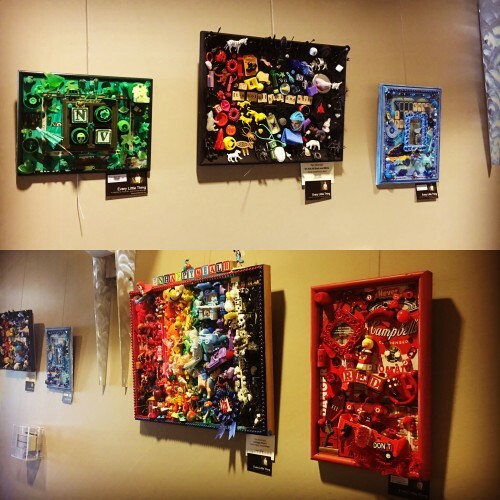 I have always had an interest in recycling, reusing and repurposing especially as related to art. Each found object assemblage contains multiple cast off items that no longer have an intrinsic value in and of themselves but after careful manipulation and juxtaposition of objects along with added details in a variety of media…someone else’s cast off junk is transformed into a piece of art to be enjoyed by the next generation. When/how did you develop your style? My undergraduate degree was in painting. I taught elementary art for 25 years. Received my MA in Art and Museum Education in 2004 were I studied the Post Modern art movement which also influenced my own personal art making. During this time I starting using collage ephemera and even put 3D elements into my paintings and then about 10 years ago after retiring I starting using up all of my personal collections into my art. 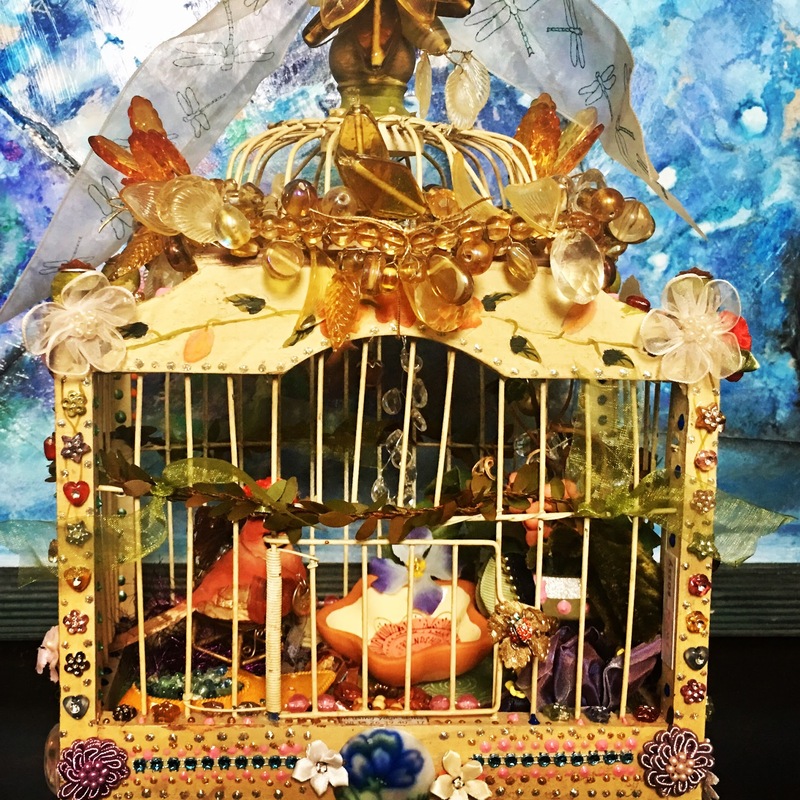 Further Inspired by 1960′s Joseph Cornell’s boxes, the 1600′s Cabinet of Curiosities, and current mixed media artist Michael DeMeng.